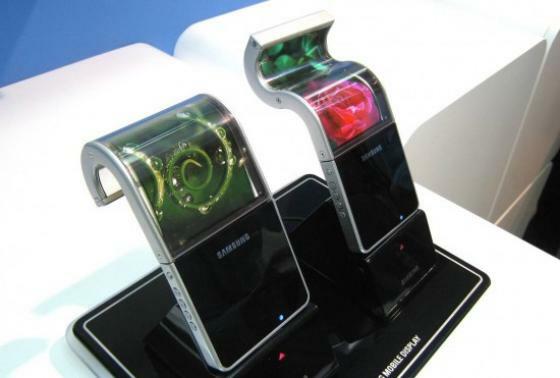 This year could see the launch of products that feature flexible OLED screens. Samsung has begun mass producing screens that will appear in devices in 2012 according to reports. The flexibility of the screens depends on a few factors such as what the screens are placed on… ie, the substrate selected. Popular uses for flexible screens should include smartphones that have smaller screens that can then be rolled out of the device to create a larger viewing area. We also hear that clamshell devices might make some kind of use of this so that a continuous screen can be used over the fold of the device. We don’t expect to see the first batch of devices entirely useful although as the technology matures more, we expect that some phone/tablet manufacturer will come up with some impressive use for the screen. Hopefully it wont end up just being a gimmick that was “cool for a few weeks”.